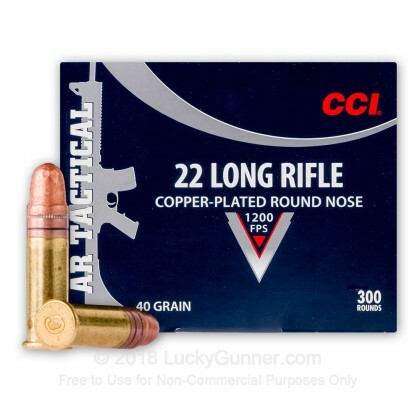 This line of 22 LR designed by CCI is ideally suited for the new wave of AR-15 tactical rifles chambered in the economical 22 LR caliber. AR-15's chambered in 22 LR such as the S&W M&P 15/22 are becoming ever more popular as they offer a fun and affordable way to go through tactical training drills as well as just good ol' plinking. Bought 4 boxes of this hard to find ammo & tested it on 12-06-18. Bought it with the idea of using it in an M&P 15-22, however decided to get a real 5.56AR. Tested the ammo in my Ruger SR-22 on 8" Splatterburst Targets @ 7 yds shooting with elbows on the indoor range shelf. I had 47 rds in the 10 & 9 rings & 3 in the 8 ring. I would say this was pretty accurate. However, I experienced first Rd failure to feed when I used a 10 Rd loaded magazine, that I slingshotted the 1st Rd. I had to slingshot it a 2nd time to get the Rd to chamber. When I used 5 rds in a magazine I had no problems. 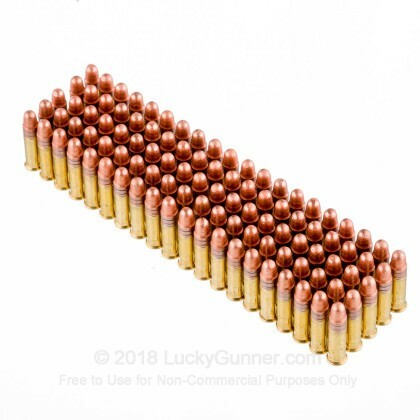 Since I have never experienced a failure to feed the 1st Rd with any other ammo, there is definitely some sort of problem when you load 10 rds of this ammo in a Ruger SR-22. If you load less than 10 rds in the mag there is no problem. The accuracy of this ammo is pretty good & is just about equal to Blazer STD, CCI Mini Mag & Aquila Std & Pistol Match. It appears to be better than CCI Std. I also tried shooting a 30 Rd Slow, Timed, Rapid fire stage at a 12x18 Silhouette Splatterburst Target at 10 yes & scored a 246/300 with 2 misses, that should have added another 14 pts to my score. Not bad for a 74yr old shooter that has to use 100+ $1 reading glasses to see the pistol sights clearly. 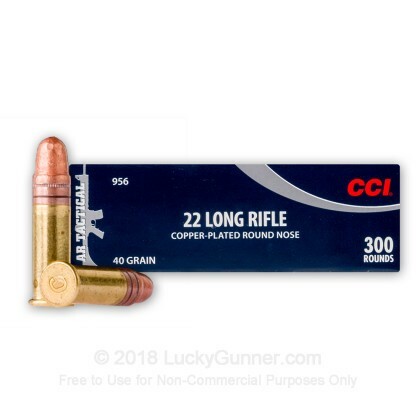 Bottom line, this shoots great, is as good as if not better than some of the other ammo out there & might even cost less. Check it out you can't go wrong. As always no issues running CCI's through a Ruger Takedown. Will continue to buy CCI's. Shipping was also quick and easy. We use only CCI in the Sig Mosquito. Never a problem. Great Time as me and my 3 grands rode thru our creek bottom to our dirt pile.Shot for over an hour at our flip targets and blow-ups.Nice ham-n-cheese sandwiches with grape kool-aide/chips and then a muddy ride locked in 4 low range back to the cabin.Hosed down outside as usual.We had a BALL-How `bout you???? 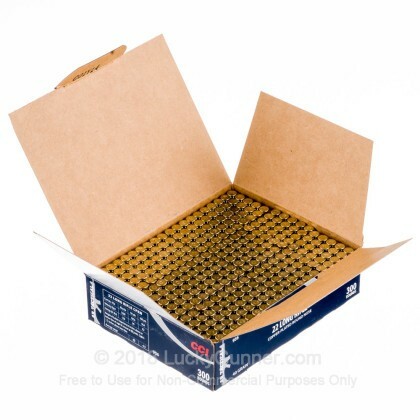 I've been using this ammo for years and never had a problem. The accuracy from round to round is excellent. I have had no mis fires thus far and fired over a thousand rounds of this CCI ammo. 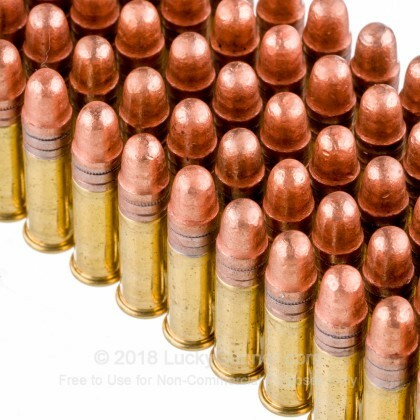 It burns cleaner than any other ammo I have tired. I highly recommend it for the target shooter or small game hunting. 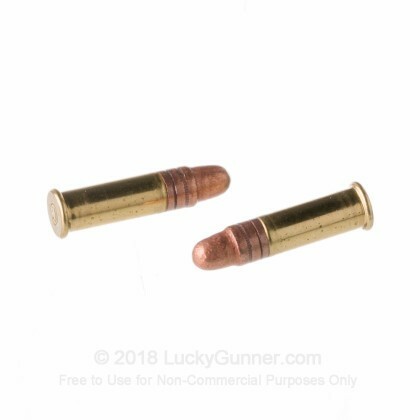 You also can't bet the Lucy Gunner fast shipping. Love thses cci rnds! Best price and super fast shipping. Keep up the good work. I will definitely be ordering again.